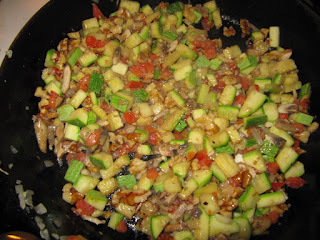 This past sunday I had the great pleasure of making a birthday dinner for my friend Cara who happens to be vegetarian. 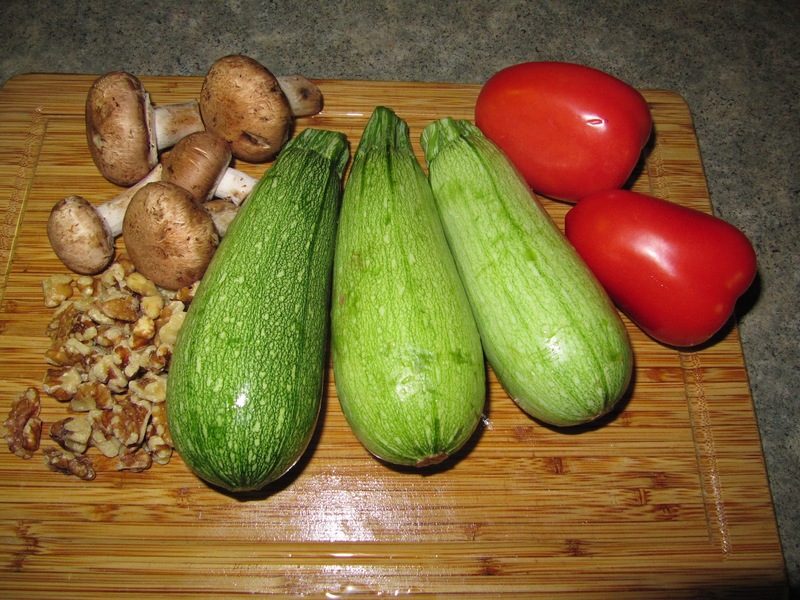 I was excited to get to work with a variety of vegetables and cooking methods. For dinner I decided to make chiles en nogada filled with veggies instead of meat, a roasted vegetable quinoa salad and a baked cabbage soup. For dessert I made pecan bread pudding with a Mexican chocolate whipped cream. 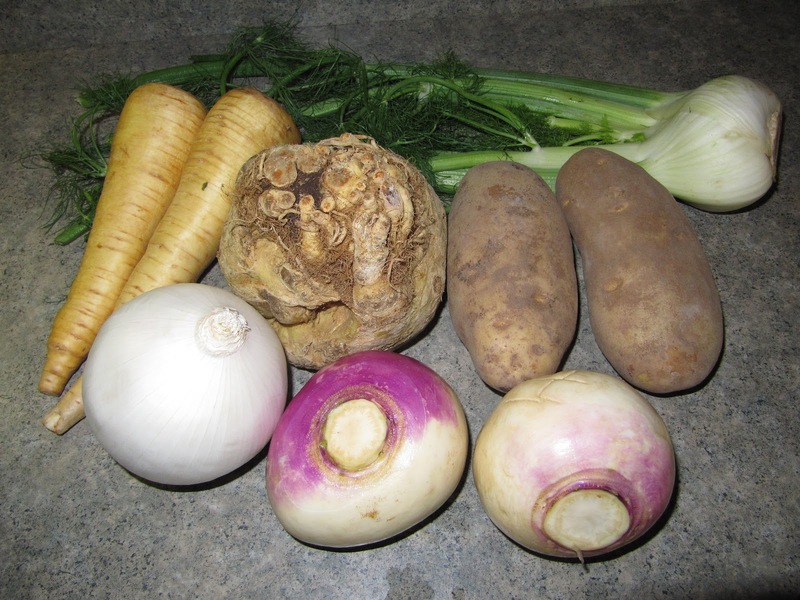 For the roasted vegetable quinoa I utilized a variety of vegetables: parsnips, celery root, potatoes, onion, turnips and fennel. 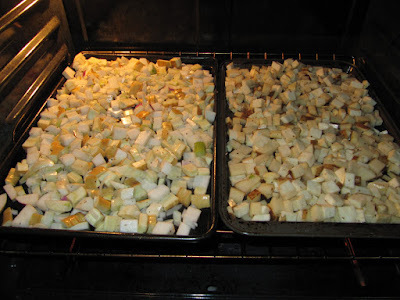 I diced all the vegetables and placed into baking sheets. I drizzled with olive oil over, seasoned with salt and pepper and placed in the oven to roast. To prepare the quinoa I added 1 part quinoa and 2 parts water to a rice cooker, it cooks perfectly every time. I removed the vegetables from the oven once they were cooked through and slightly toasted. I tossed the quinoa in with the roasted vegetables and set aside to cool. 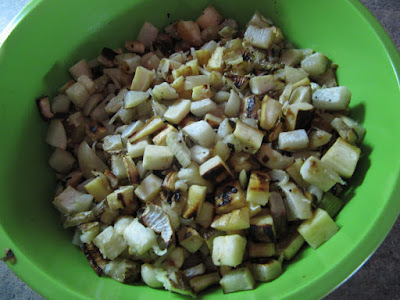 To make baked cabbage soup I first chopped one head of cabbage and added this to a deep pot. 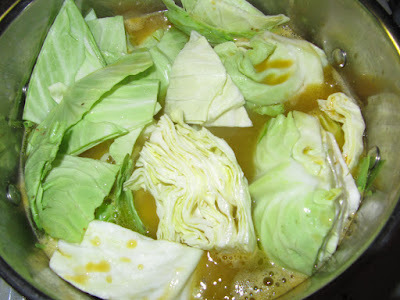 I then added enough vegetable broth to almost cover the cabbage and cooked over high heat until the cabbage was tender but not mushy. 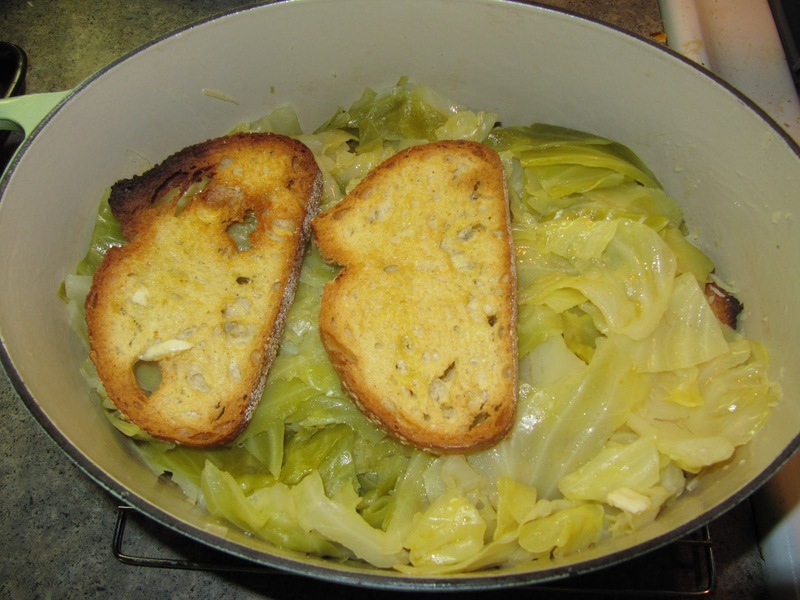 While the cabbage boiled I cut thick slices of crusty Italian bread that I then toasted in the oven. I buttered a dutch oven and placed a few slices of the toasted bread as a base. I topped the bread with grated gruyere cheese. Using tongs I added about half of the cabbage and topped with dabs of butter. I made another layer of bread, cheese, and cabbage. I covered the dish with a final layer of bread and poured the vegetable broth into the dutch oven to soak into the bread. I topped with more gruyere and placed in the oven to bake until the cheese is browned and bubbly. Chiles en nogada is a traditional Mexican dish that consists of a roasted poblano chile, stuffed with picadillo that is then topped with a walnut cream sauce and pomegranate seeds. 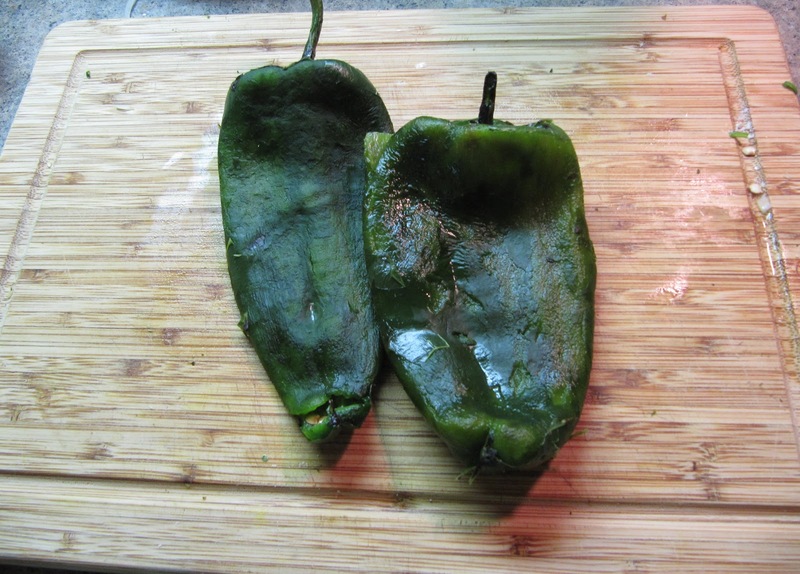 I prepared the poblano by first roasting it over an open flame, making sure to slightly char the outside. After taking them off the flame I immediately placed them in a plastic bag to steam for few minutes before peeling off the skin. I cut the poblano along one side and shook out the seeds. I then stuffed the chiles with the zucchini mixture, topped with a bit of crema mexicana, and sprinkled with some pomegranate seeds. To complete the dinner I tossed the quinoa salad with chopped cilantro and lime juice and set along side the chile en nogada. I made a quick guacamole with avocados, lime, and onions and served with the dish as well. I pulled the cabbage soup out of the oven and I served this separately in a bowl. 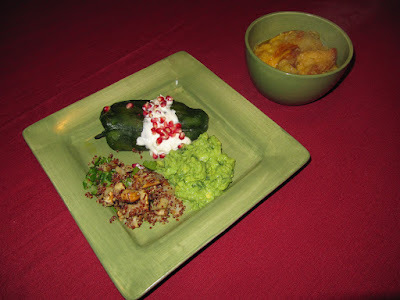 The texture of the roasted poblano went well with the stuffing and the quinoa had a bright earthiness with the lime and root vegetables. The cabbage soup was luscious, very rich and satisfying. It was a bounty of vegetables but we made sure to make room for some dessert. I had it under good authority that Cara is a fan of bread pudding so this was an easy choice to make. To serve alongside the bread pudding I made a mexican chocolate whipped cream. 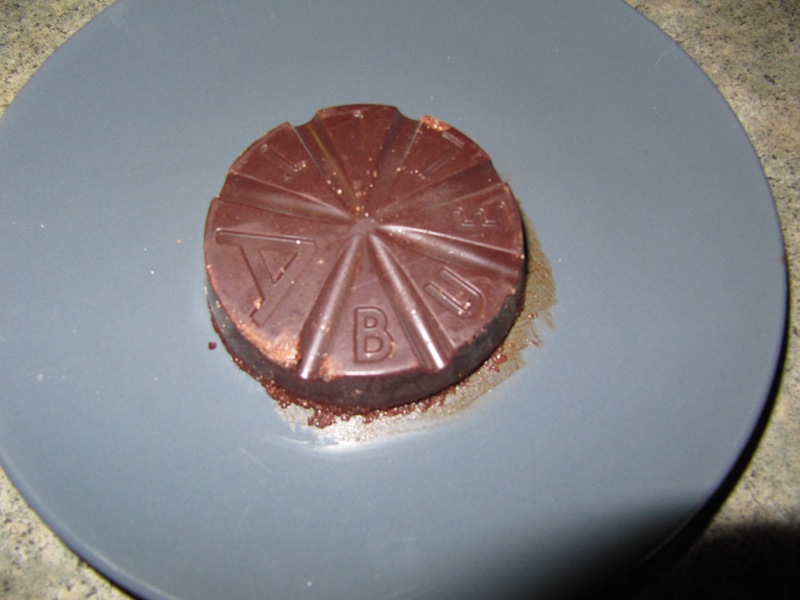 I used one of those bricks of mexican chocolate that you can get at most stores. I boiled the chocolate with heavy cream until melted and passed this through a mesh strainer and placed in the refrigerator to cool. To make the whipped cream I used an iSi cream whipper, but I have also made whipped cream by whisking cooled cream in a large mixing bowl. 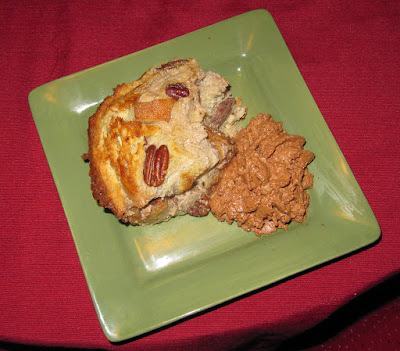 I first cut a loaf of crusty Italian bread into large cubes and placed in a buttered casserole dish and topped with roasted pecans. In a large mixing bowl I combined milk and heavy cream with eggs, vanilla, cinnamon and nutmeg. I poured the mixture over the bread and let this sit for 10 minutes so that the bread can properly soak. I placed the pudding in the oven to bake until the top was golden brown. The bread pudding was a hit: the vanilla and pecan of the bread pudding went well with the chocolate and cinnamon flavors of the whipped cream. I am happy to say that our guest of honor enjoyed her dinner very much and I was glad to have the opportunity to do something special for her birthday.